STOCKHOLM: Swedes don’t like to talk about money, but they just might tell you how many copies they’ve sold. Enjoying a robust domestic book market and years of successfully exporting authors internationally, spirits are running high in Swedish publishing. It’s a boom that Scandinavia’s leading literary agency, Salomonsson Agency, has profited from at home and abroad. Salomonsson literary agents Leyla Belle Drake and Tor Jonasson spoke to Publishing Perspectives in their Stockholm offices about keeping the bar high for crime fiction, doing what it takes for authors and how Salomonsson has impacted the Swedish publishing industry. “I don’t even want to use ‘Swedish,’” says Jonasson, of pitching the agency’s titles. “Now you have to be on the same level as [native authors].” At this point it’s simply about representing great crime fiction. That means originality and quality, two terms Jonasson and Drake use again and again in the course of the interview. And if keeping standards high for its authors is one half of the equation, the work put into promoting them is the other. Salomonsson Agency has a reputation for the time and effort it pours into its authors. A 20-odd-page English-language prospectus the agency produced for thriller-writer Anders de la Motte is a good example. Well-designed, and better written than most similar texts you’ll ever see, for a piece of ephemera it’s both surprisingly interesting and extensive. According to Jonasson, materials like these “are one of the main ingredients” in the agency’s recipe for sales. Beyond being a tool for marketing the author to publishers, they’re intended as a marketing tool for publishers, showing them how it’s possible to promote an author and providing the foundational materials. Though its crime authors tend to get the foreign press and have formed the agency’s image, about half of Salomonsson’s list is literary fiction — Finnish Sofi Oksanen is a recent international success — and none of the agents had a background in genre literature before starting at the agency. It’s a mixture that benefits everyone, says Drake. “The authors on our list also want to be in a mixed group.” More prolific, faster-selling crime authors provide a steadier cash flow, while literary authors lend gravitas and foreground the importance of literary artistry to the list as a whole. 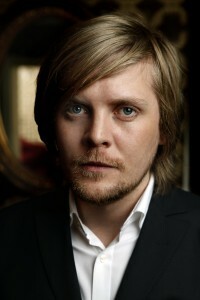 In the past years, the agency has weathered several scandals, some concerning the personal life of its controversial founder and CEO Niclas Salomonsson, others more business-related in nature, including allegations of various dubious professional practices that led the agency to sue the Swedish publishing news magazine Svensk Bokhandel in 2008, a case it lost in 2009. Since its founding 12 years ago, the agency has “reshaped” the way the Swedish book industry deals with rights, according to Jonasson, spearheading the new phenomenon of the independent agency in the country. “Foreign rights departments have developed a lot since Niclas [Salomonsson] founded this agency,” adds Drake. That means some Swedish foreign rights departments even call themselves “agencies” now. Whatever impact the agency has had on the industry, there’s one area where there’s still work left to be done — getting the word out to Scandinavian writers. When English speakers want to learn about becoming a writer, they do a quick bit of internet research and read about everything from publisher slush piles to agents to self-publishing. Swedish blogs, however, tend to focus on the craft of writing, says Drake, perhaps because modest Swedes are reluctant to talk about how to monetize their work. The end result is that seeking out an agent still isn’t necessarily an intuitive step for a budding Scandinavian author. As a result, Salomonsson Agency attends writers’ workshops to procure talent. One recent important development for the agency has been working directly with a Hollywood agent on book-to-film projects, something previously not considered a feasible option for Swedish publishers and agents. Seven projects are currently in various stages of production. DISCUSS: Should Agents Be Blamed for Stealing Authors, Switching Houses?